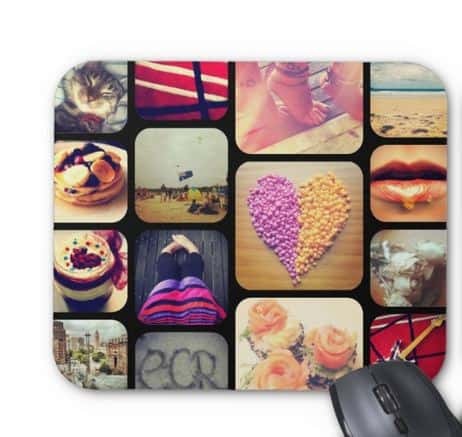 Create your very own personalised DIY Instagram mousepad by following a few simple steps. We often photograph and share many treasured moments on social media. Creating your own mousepad is a great way to be able to see your favorite pictures whenever you are in the office. This is also a fantastic gift idea for a loved one who spends many hours working in an office away from home. An inspirational reminder of what life is all about. This inspirational little project is very easy to complete. If you can use facebook or operate your instagram account then you can do this easily. If you think you can probaly complete this project without further instruction then click 'Check It Out' below to get started. If not then here are the steps. 2. Scroll down until you see on the right the section containing the photos that are currently on the mousepad. 3. Click the link under each photo that says "Change" and upload your own photos. 4. Take a look at your completed mousepad! 5. Then if you decide that your work is so awesome that you need to buy it, simply click 'Add To Cart' to make it yours! For some more cool DIY ideas from Well Done Stuff check out DIY Giant Jenga or DIY With Recycled Maps. Follow welldonestuff.com on instagram to see more cool stuff!